Welcome to our range of Fly Pest Control Products and Supplies that can be seen below this short write up. If you prefer to order by telephone or need any advice, please give us a call on 03330 119703 UK. We supply the best and most effective DIY Fly pest control products to buy online for delivery throughout the UK, France, Italy, Spain, other parts of Europe and the rest of the World. There are many species of flies in the UK including Common House Flies, Lesser House Flies, Beer Flies, Blow Flies, Bluebottles, Cluster Flies, Face Flies, Flesh Flies, Fruit Flies, Garden Flies, Gnats, Greenbottles, Horse or Stable Flies, Midges, Sand Flies and Sewage Flies. If you have a Cluster Fly problem, which are also known as attic, loft or roof flies, as they tend to inhabit and cause problems in these areas, please see our Cluster Fly Control Category. If you have a Fruit or Beer Fly problem or a House or Garden Fly problem then we have put together a selection of products to kill and stop these flying insect pests. We have a Fruit and Beer Fly Kill and Control Treatment Kit as well as Fruit and Beer Fly Traps, we have Insecticide or Organic Killing Sprays and Insecticide or Organic Killer Powders. 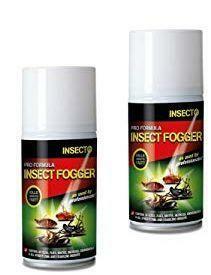 We supply Fly Fumigating Power Foggers as well as Fumigation Smoke Bombs. We also supply a selection of complementary products such as a Fly Killing Cassette, Fly Papers and Traps, a Fly Zapper Swatter and some Fly Repellent Bin Bags. Our products have been chosen for being the best and most effective in the treatment and eradication of Flies and Flying Insects. 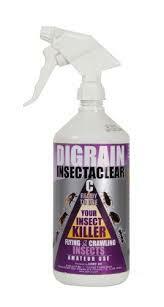 These pest control products will kill, repel, stop and get rid of flying bugs found in the home, garden or business. To complete our selection, we are stockists of Electric Grid Fly Killers and Electric Glue Board Fly Killers especially produced for long term control of flies found in the home or business. Fruit or Beer Fly Kill and Control Treatment Kit will eliminate fruit and beer flies in all environments, saving on the normal buying price of the individual fruit fly or beer fly pest control products. Fruit or Beer Fly Catching Traps x 3 are ready to use fly traps that are suitable for use in pubs, cafes, restaurants, catering areas. These traps are also for use in the home for trapping, killing and getting rid of fruit flies or beer flies. Fly and Flying Insect Kill and Control Treatment Kit. 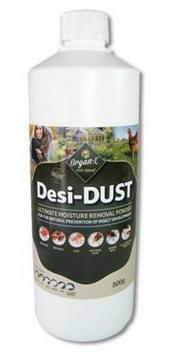 Replacement Aerosol for the Fly and Flying Insect Kill and Control Treatment Kit. Fly and Flying Insect Fumigating Power Fogger x 2 will give a fumigation treatment to 2 x average sized room. 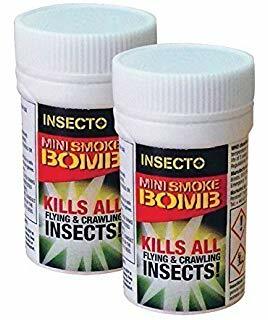 Flies Mini Fumigation Smoke Bombs x 2 will flush out and kill all types of flying insects. Our price includes VAT. 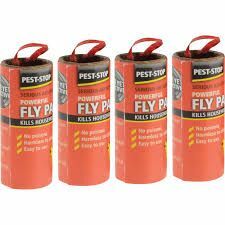 Flies Mini Fumigation Smoke Bombs x 4 will flush out and kill flying insects to get rid of a fly problem. Our price includes VAT. 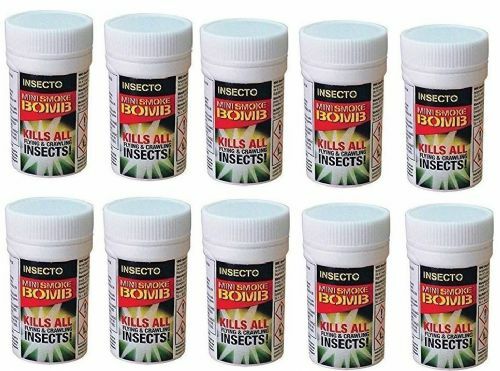 Flies Mini Fumigation Smoke Bombs x 10 are generators that give off a fog that will flush out and kill flying insects. Our price includes VAT. Flies Mini Fumigation Smoke Bombs x 20 are generators that give off a fog that will flush out and kill flying insects. Our price includes VAT. 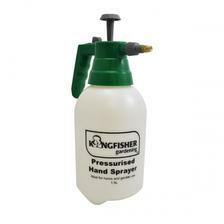 Fly and Flying Insects Killing Aerosol Spray 300ml is effective for spot treating flies found in the home or business. Fly and Flying Insect Kill and Control Spray 1 litre can be for spot treating flies and flying insects or for spraying around windows and doors. It leaves a residual effect that continues to work for several weeks after the initial treatment. Fly and Flying Insect Kill and Control Insecticide 5 Litres is for killing and stopping problems with flies and flying insects in the home or business. This is a residual product that continues to work for several weeks after the initial treatment. 1.5 Lite Fly Insecticide Hand Held Pressure Sprayer is ideal for use in spraying our Fly and Flying Insect Kill and Control Insecticide for sale in a large 5 litre container. 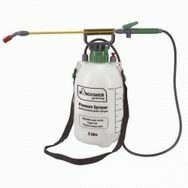 5 Litre Fly Insecticide Pump Action Pressure Sprayer with shoulder strap is ideal for use with our Fly and Flying Insect Kill and Control Insecticide for sale in a 5 litre container. 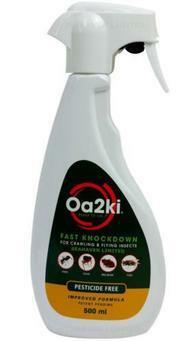 OA2KI Organic Fly Kill and Control Spray 500ml is a natural, non toxic product for spot treating problem flies and flying insects in the home or business. Organic and Chemical Free Fly Killer Powder 500g. 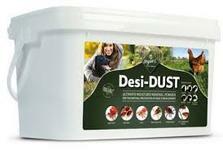 Organic and Chemical Free Fly Killing Powder 2kg. Gilmour Fly Killer Powder and Dust Blower. Fly Killing Cassette is a slow release insecticide block that will kill flies in the home or business. Sticky Fly Ribbons - 1 Pack of 4 are ideal for use inside the home or outside in the garden. 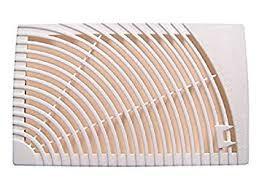 Outdoors these strips can be hung under gazebos or in garden sheds where flies and flying insects are being a nuisance. Garden Fly Trap catches and traps up to 20,000 flies over a 3 month period. Flies and flying insects are attracted into the trap by a pheromone lure. This Fly and Wasp Killer Dome Trap is for trapping, catching, holding and killing flies, fruit flies, beer flies, cluster flies, wasps and other flying insects or bugs. It is for use indoors or outdoors. Fly and Wasp Killer Honeypot Trap x 1 is for use outdoors and indoors for killing, stopping and getting rid of problems with flies or wasps. Fly and Wasp Killer Trap Bait for use in our Fly and Wasp Killer Dome or Honeypot Traps. 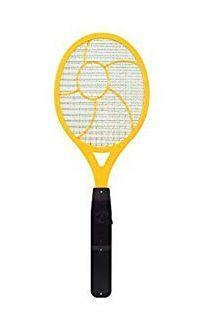 Fly and Flying Insect Bat Swatter is a battery powered racquet that kills flies, mosquitoes, wasps and other flying insect pests. 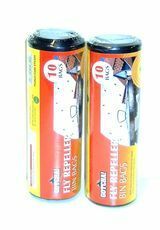 Fly and Flying Insect Repellent Bin Bags x 20 to repel, deter, stop and get rid of flies, wasps and flying insects from bin areas indoors within the home or bin areas outside on the patio or in the garden.